While finishing up his undergraduate studies in Political Science and Entrepreneurship at UCLA, Nicholas was introduced to real estate after writing a letter to one of the top luxury real estate developers in Los Angeles at the time. In response to the letter, the Beverly Hills developer offered to mentor Nicholas and ultimately made him a member of the real estate development team. During this period, Nicholas had the pleasure of working on a handful of deals with some of the biggest names in business and became a part of his first residential development project that is still in process. 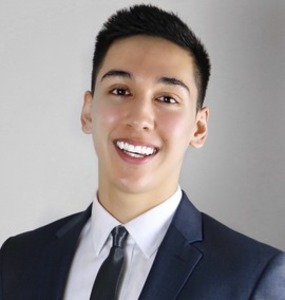 Nicholas will be the first to tell you that much of his knowledge of the Los Angeles and its real estate market stems from his genuine passion for the city and its architecture. While attending UCLA, Nicholas would take classmates on his own version of the "Hollywood Tours", taking them through the Sunset Strip, beyond the exclusive gates of Bel Air, and anywhere else that piqued his interest. It was the culmination of these types of activities, in addition to his irreplaceable real estate experience that has led Nicholas to be confident in every facet of the business. Currently residing in Beverly Hills, Nicholas can be found working in Beverly Hills during the day and socializing in West Hollywood at night. In his spare time, Nicholas enjoys reading, being active, and surrounding himself with his closest of friends and family. Nicholas prides himself on his worth ethic, authenticity, and ensuring that his clients receive a first-class real estate experience.